Come see Joe and Amanda Martin The owners of Martin Brothers customs. 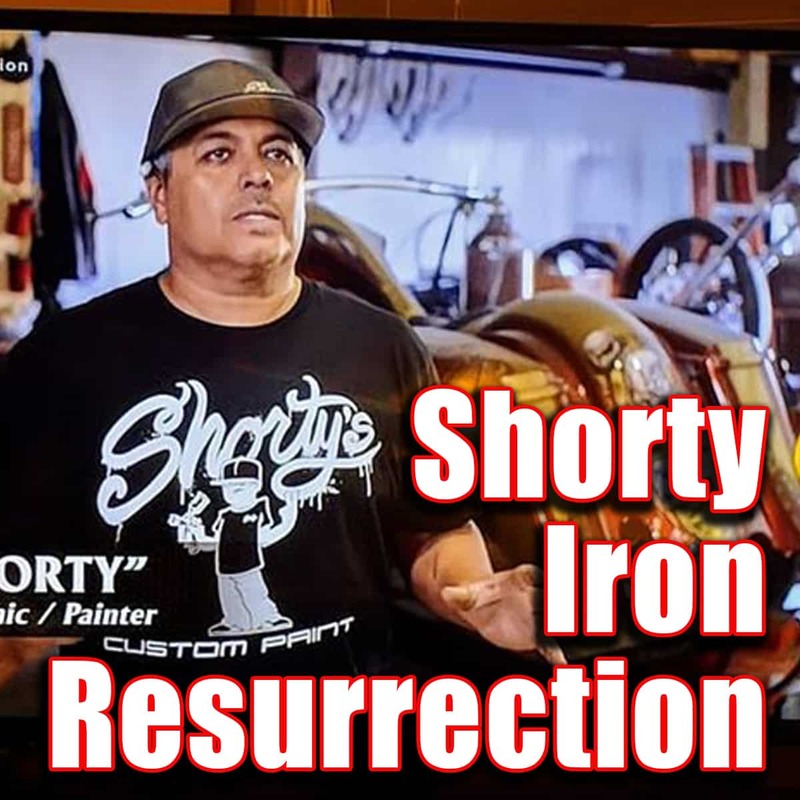 They are also on the hit show Iron Resurrection on Motortrend TV. Also see Shorty the painter on the show! 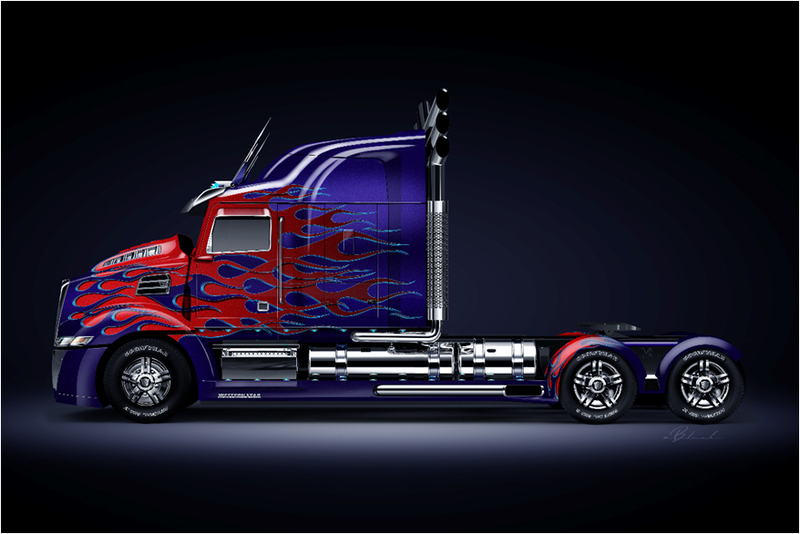 The Optimus Prime truck from the movie Transformers will be on display, with some of the movie props. Watch for some poster give aways as well. The kids will go crazy seeing their movie hero in person. Inspired by the works of Barris, Winfield, Hines and Starbird, John has earned the reputation as a world class designer and builder. Winner of many Outstanding and Best Custom Awards, John's designs are always eye catchers and desired around the globe. A great ambassador for the PRS, we are glad to have John back again this year. Mecum Auctions, the world’s largest collector-car auction company, joins us this year with the Mecum Mobile Experience, bringing information and special displays in relation to their upcoming Portland auction slated for June 22 and 23 at the Portland Expo Center. Visit the Mecum Mobile Experience to talk with Mecum representatives and find out how to buy or sell your own classic or collector ride at any of the company’s auction events held throughout the United States. This fantastic Portland Roadster Show tradition continues! See the best rides from our Portland and Vancouver area High Schools. Each school has an annual contest to choose the hottest ride. 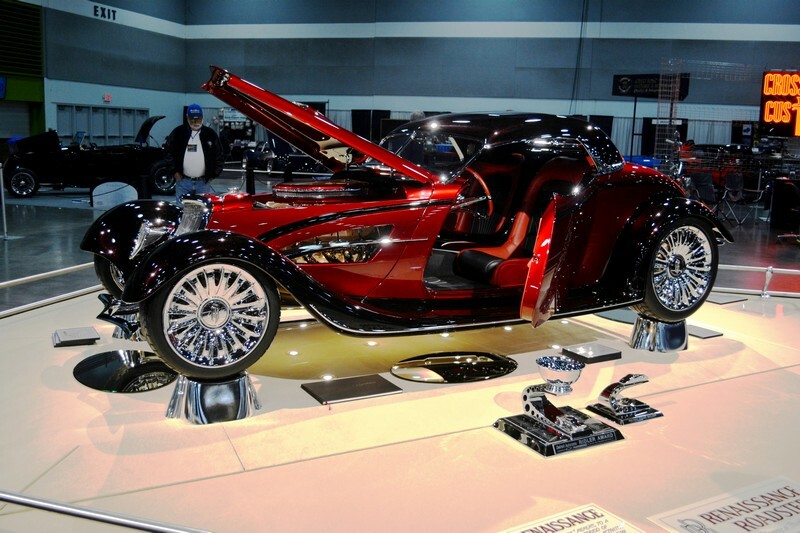 You'll see a collection of the winners only at the Portland Roadster Show. Many of these young men and women are the future of the Northwest rodding scene. Be sure to vote for your favorite! There's nothing like watching some of the nation's finest pin-stripers performing their artistry on the coolest hot rods and customs. They will be "laying it all on the line" at the Rose City Brush Bash, competing to see who is the best of the best pinstriper in the land. Les Schwab and the Multnomah Hot Rod Council are sponsoring two $500.00 "Pride In Performance" awards. These awards are to be presented to Local High School Automotive Programs based on their students' Participation in the High School Challenge. They will be judged on Excellence in Presentation and School Spirit. See the amazing craftsmanship of better than 20 local high school and community college automotive programs as they have customized pedal cars that will be auctioned off and the proceeds go back equally to all of the programs that participate. Try to keep a dry eye as you meet young people going through the battle of their life as they receive a pull wagon that has been customized by local automotive shops and high school automotive programs. Each child picks out "their" wagon, and then the pinstripers that are competing in the Brush Bash, personalize it with the childs name and any other special things that make it their own. We at the Portland Roadster Show and the Multnomah Hot Council could not be more proud of this event and hope it brings just a little bit of joy to these courageuos kids. Find out what's the latest and greatest from many of the region's (and Nation's) auto vendors. You'll find treasures throughout the show from aftermarket automotive parts, NW custom car builders, die-cast toys, hot rod clothing and so much more. **Please note - all scheduled events subject to change.